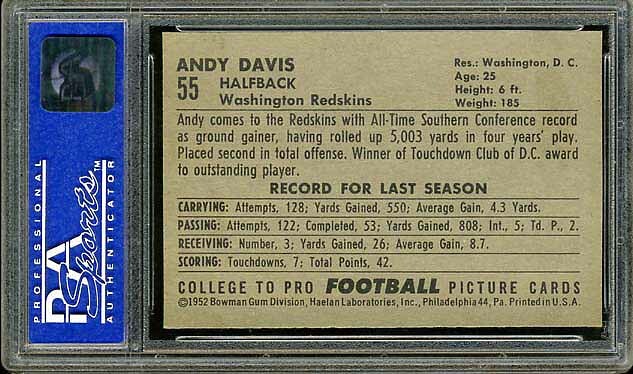 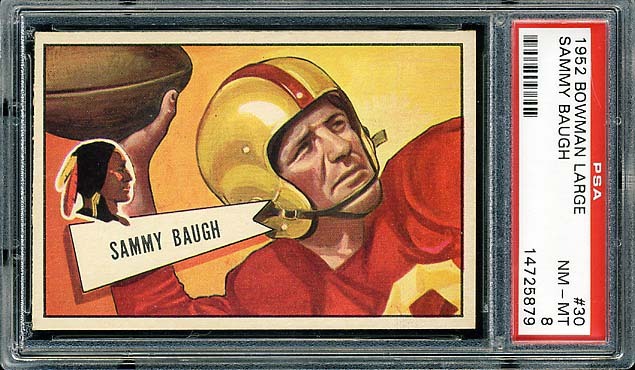 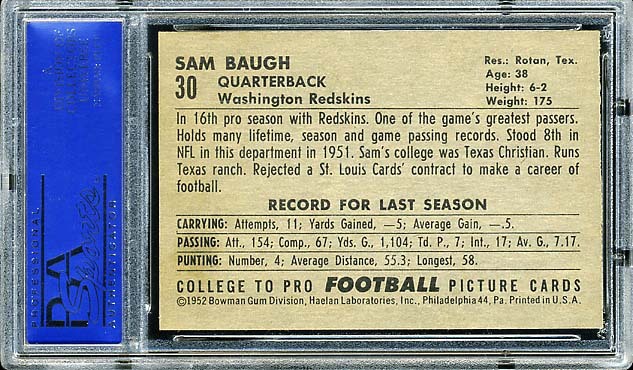 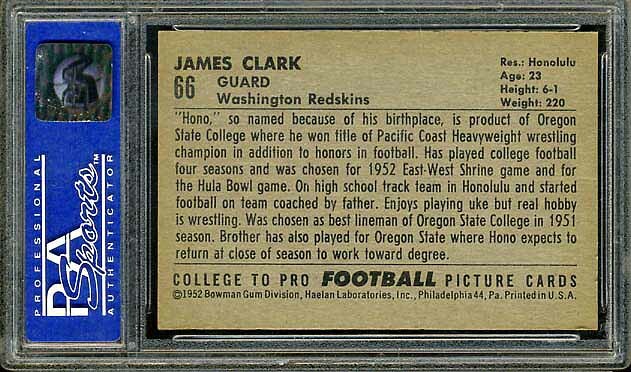 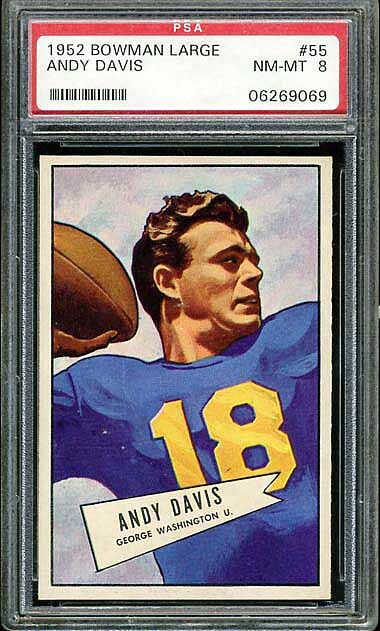 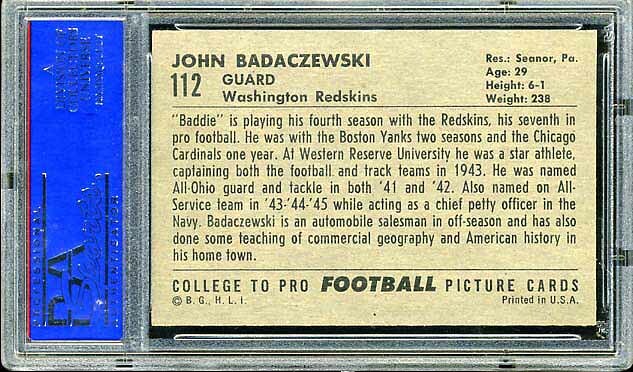 In 1952 Bowman released two sets. 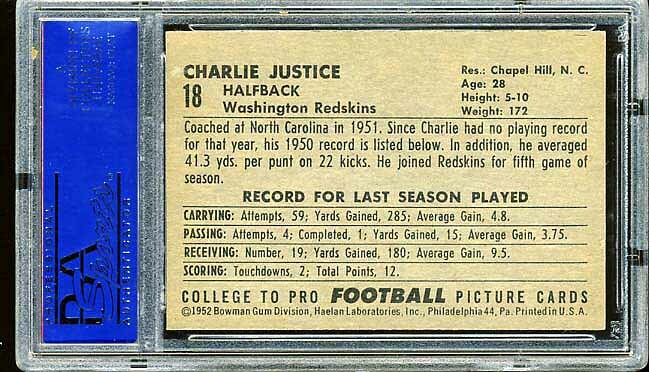 The cards are identical except that in one series the cards are about twice as big as the cards in the other series. 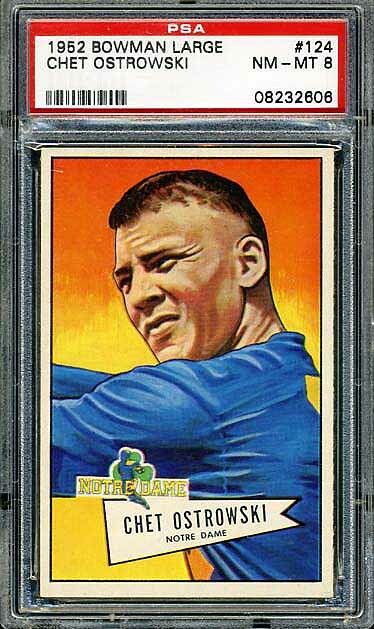 This is the large version. 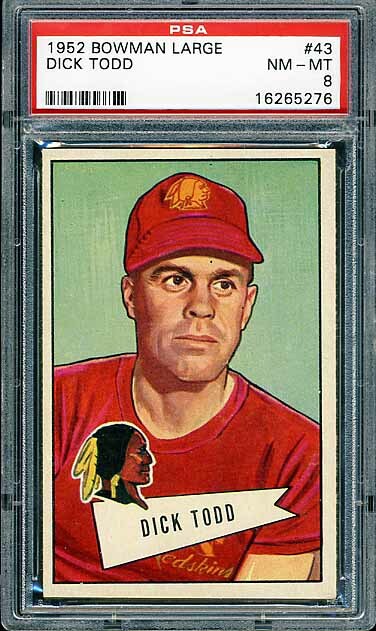 From what I can tell, it seems that the Small series is scarcer than the Large series. 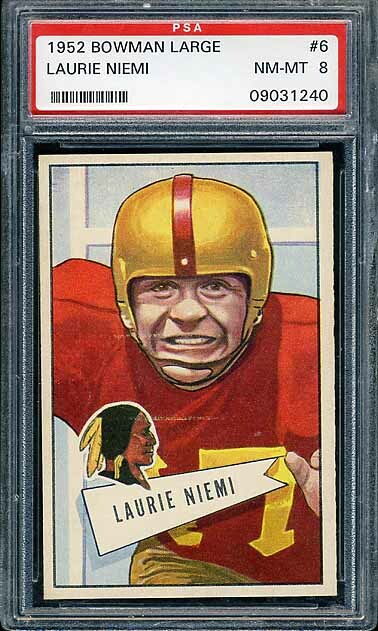 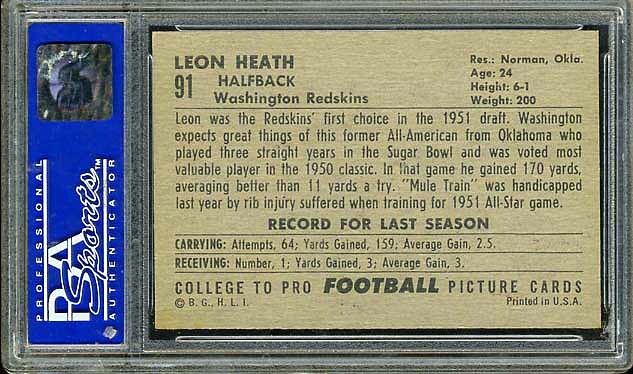 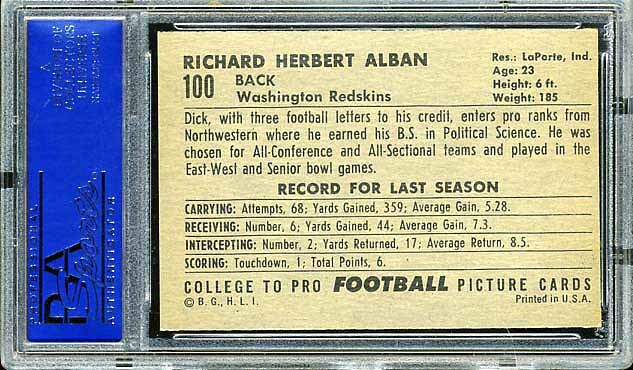 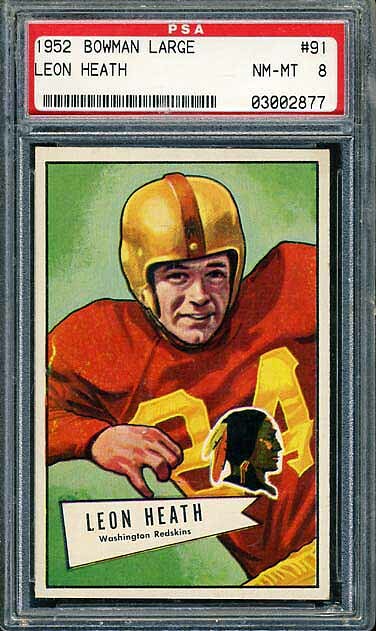 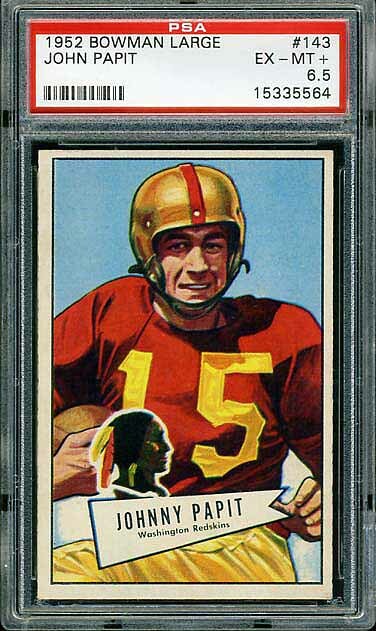 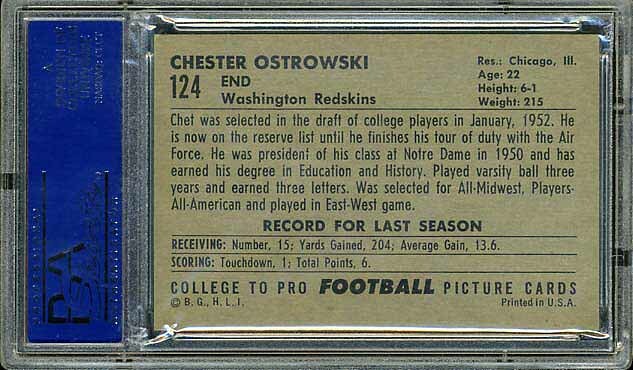 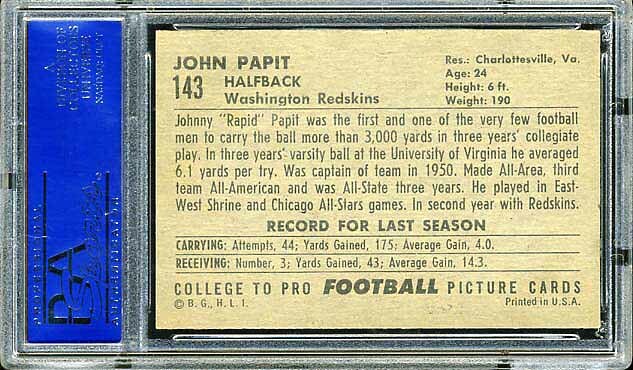 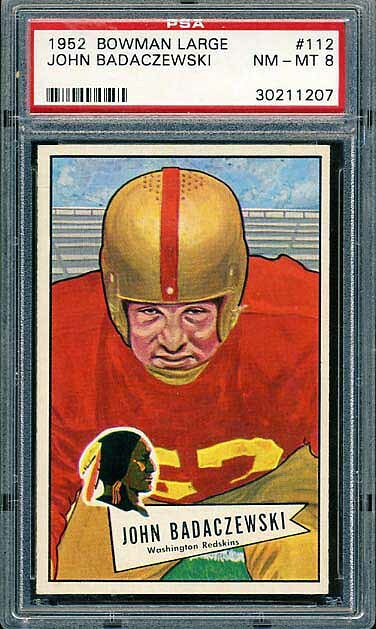 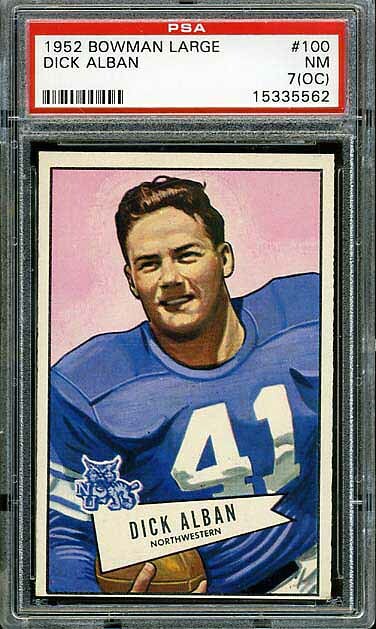 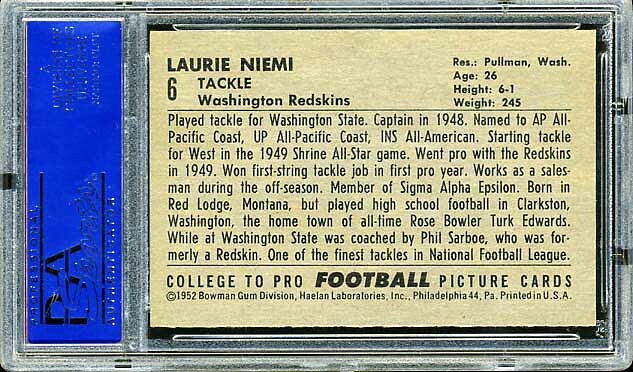 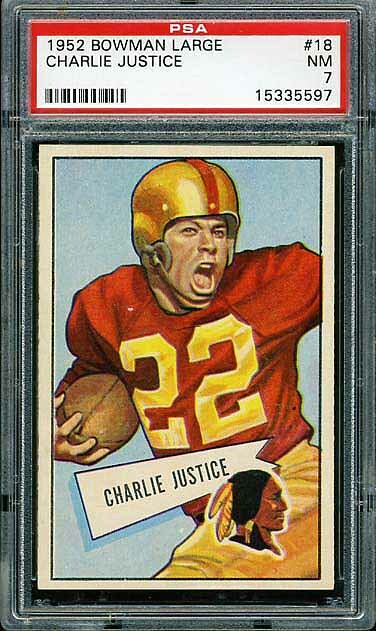 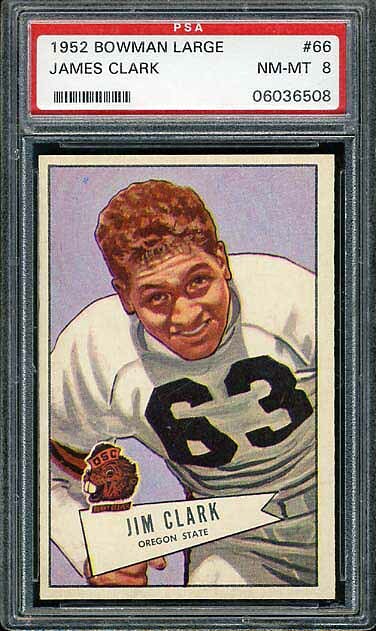 However, the Large series contains one of the most difficult Redskin cards to obtain; the #108 Hubert Johnston is one of the super short-prints in the Large series and next to Bull Tosi in the 1935 National Chicle series, is one of the rarest Redskins football cards out there. 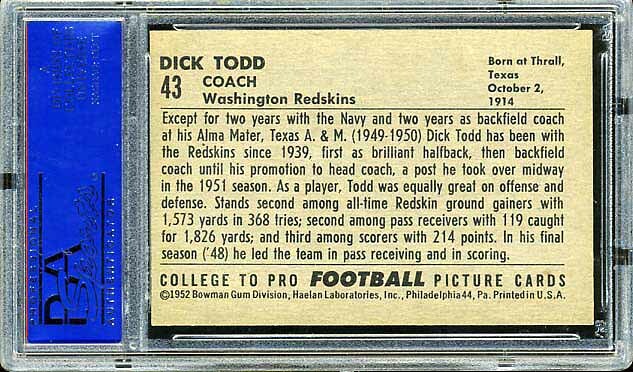 The team set below is missing only Johnston.